Wario's hijacked the eShop, Nintendo's Twitter account and even issued his own press release in celebration of WarioWare Gold arriving on the 3DS. Overall, it's been an effective way of reminding everyone games are still actually being released on the system. Now, website Gaming Reinvented reports an equally as naughty dataminer has uncovered unused content in Wario's new game in the form of an early version of Penny's intro cutscene. There are a series of early sketches by the game's character designer, Ko Takeuchi, that have been improved upon as development progressed. It's surprising how content such as this has been discovered so soon in a new release when earlier this week we heard about the existence of a beta version of Bowser's Castle in Mario Kart Wii that took a decade to reveal. Did you pick up or download a copy of WarioWare Gold on release? Have you at least tried out the free demo? Tell us below. Looks even better than the finished product, imo. Anyone know who voices Penny? Sounds like Brianne Siddall, maybe Kate Higgins. The voice is extremely familiar but googling didn't help. Tell the dataminer to find a normal job. @Cosats That was uncalled for. @Kimyonaakuma @Cosats Agreed, it’s highly doubtful that this user looks like a dwarf, carrying a pickaxe while singing “Hi-Ho”. Some people actually have hobbies they enjoy. It kinda looks better in the sketch style without the thick lines and even bigger heads. The Bowser Track has been known for years. What's new is that someone made it playable. @BladedKnight And coincidentally the final season of Telltale's The Walking Dead is just around the corner. @BladedKnight Telltale likes to screw over Switch owners with their releases so far, so this will likely not be an exception (but I may have to check it on the internet). @Cosats A normal person can have both a job and a hobby. Got this on release day last week (UK release) and i wasn't disappointed. A real swan song for the system and a fantastic greatest hits collection. My only criticism is that it wasn't a Switch game. I like the cutscenes in the game. 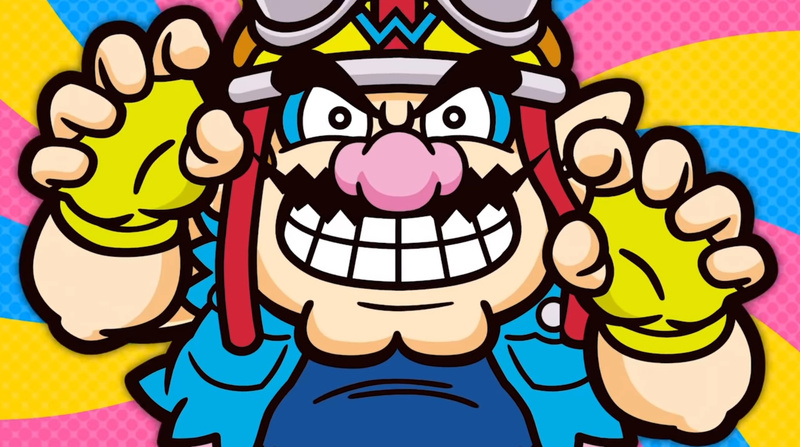 I kind of wish there was like a Wario webseries or something now. It took a while but the WarioWare game for 3DS is the best WarioWare game ever. A must-have for any 3DS owner. @BladedKnight Yes, and also because season 1 of MCSM had eight episodes instead of five (with episode six being the worst one imo). @Cosats Please tell me this doesn't actually upset you. Lol come on now. Releasing a new WarioWare game on 3DS instead of Switch......such a facepalm move, Nintendo. @Prizm Most of the features included wouldn't even work on the Switch. We'll get a Warioware game on the Switch eventually, be patient. This is about the only reason to own a 2DS as trying to tilt any DS with a hinged screen will cause it to wobble. Warioware is just one of those franchises that works perfectly as a budget title (twenty dollar range) and becomes impossible to fully enjoy as a full price game. I love these games, but I can't drop fifty bucks CAD on a three hour collection of games I've already played, no matter how charming and silly the presentation may be. @FTPinkRabbit That's probably why I saw "used" copies on sales websites for 25€ last week already.